I recently revisited A Run for Your Money after many years. It was with some trepidation that I approached this movie as I was sharing it with my daughter, Janet. Would it be as delightful as remembered? It was, and my memory was unusually accurate for such a long absence. In the post-WW2 period Ealing Studios embarked on a number of comedies which were incredibly successful. I believe Passport to Pimlico, Whisky Galore!, Kind Hearts and Coronets, Titfield Thunderbolt and The Man in the White Suit can wear the banner of legendary. 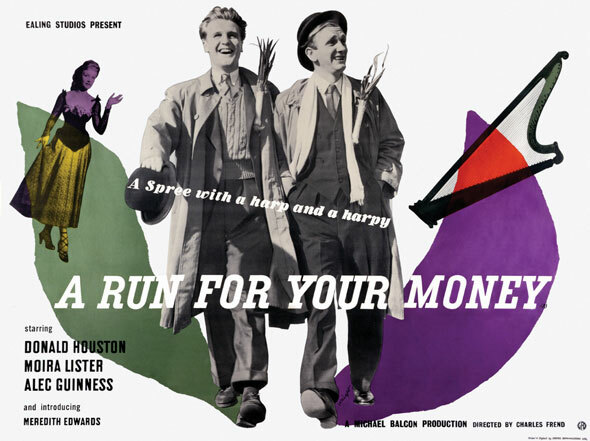 The screenplay for A Run for Your Money is by Richard Hughes (A High Wind in Jamaica), Leslie Norman (The Shiralee) and the director of our film, Charles Frend (Scott of the Antarctic). Dai #9 (there apparently being a dearth of names popular with Welsh parents) played by Donald Houston (Doctor in the House) and his brother Twm played by Meredith Edwards (The Blue Lamp) have won glory. 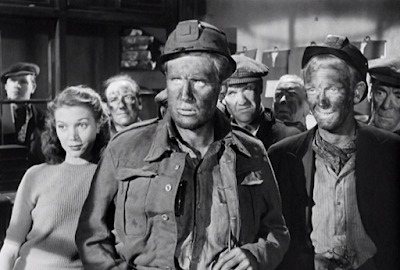 The miners have cut more coal in the past month than any other workers in the country and will be honoured by the newspaper The Echo with 200 pounds, tickets to the Wales vs England rugger match at Twickenham, and the aforementioned glory. Armed with the well wishes of their co-workers, the manager's bowler hat and a warning from Dai's girlfriend to behave and have a good time, they are off on the train to London with no instructions on how or where to receive their prize. It will suit the reporter tasked with accompanying the glory laden miners if he never were to meet these lads. Mr. Whimple, the self-proclaimed "gardening correspondent" for The Echo played by Alec Guinness (The Ladykillers) much prefers vegetables to people. Nonetheless, a human interest piece must be written up. It means his job. First, he must locate the errant winners. A professional con woman whose speciality is separating rubes from their cash, played by Moira Lister (Abandon Ship), first separates Dai from Twm, and from the manager's hat. She steers him to the office of The Echo where the money is obtained. 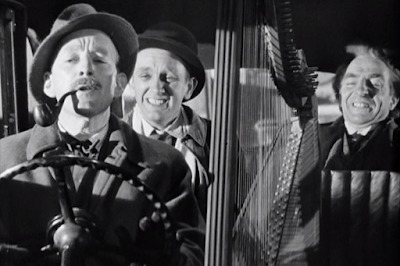 Meanwhile, Twm has found his old pal Huw played by Hugh Griffith (Ben-Hur), a much admired harpist down on his luck. 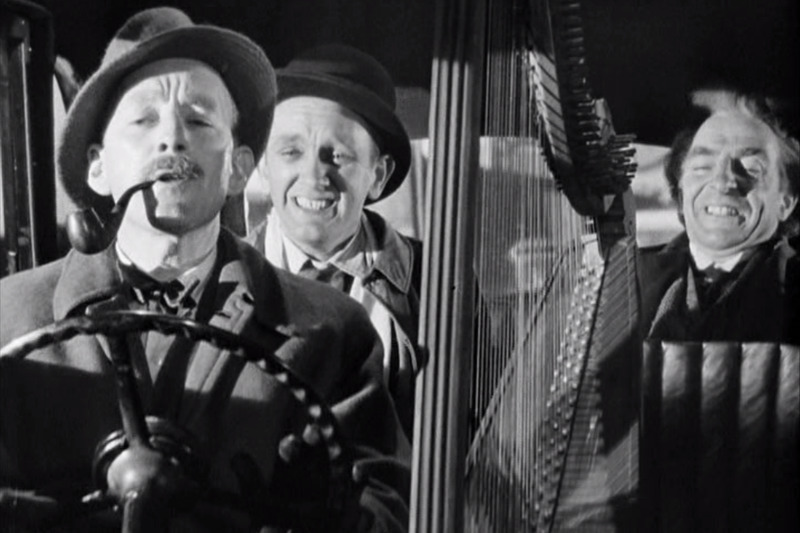 Huw easily convinces Twm to help him retrieve his harp from a pawnbroker and even more easily persuades him to drop into a pub or two for a quick one, or two, or three. Ah, the adventures these boys have in the big city. Sadly (all bow our heads), none of these adventures involve attending the match at Twickenham Stadium. There's song and drink, and villains and chases in this movie. There's slyly humourous dialogue and pratfalls. There's even a Joyce Grenfell sighting for those into that sort of thing. I can say with confidence that A Run for Your Money remains the very definition of "charming", and Janet agrees. 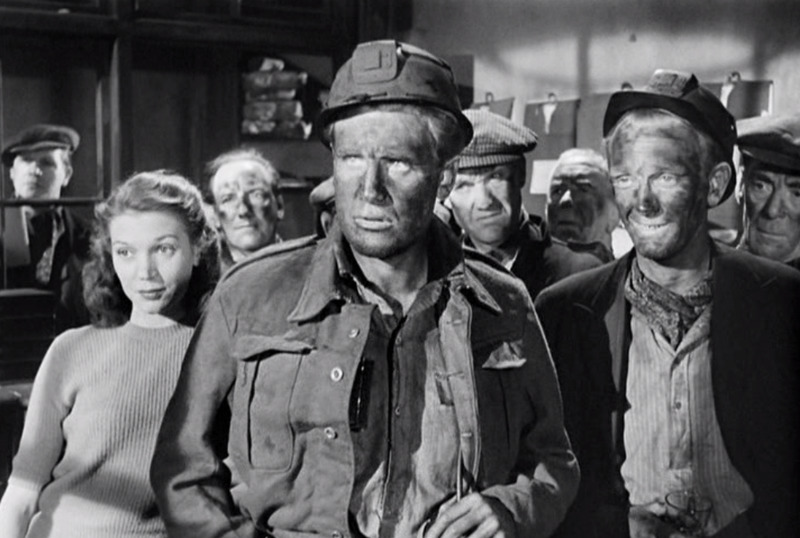 This is one of the least shown Ealing films on British TV. I don't know why as it is great fun. Your description of it as 'the very definition of "charming" is spot-on. I am convinced that fans of this film must be legion, but we're unusually reticent. I have not seen this. Unfortunately, if a British film was not in wide release in the US, it is largely unknown to us. Will see if I can find it. Thank you for submitting to The Classic Movie Marathon Link Party each week. The link party is fun. I'm finding new things to read and enjoy. Here in Toronto, especially while I was growing up, we were treated to almost too many classic British films (if there is such a thing).